Despite the advancements made in artificial intelligence so far, the Defense Advanced Research Projects Agency (DARPA) believes there is still more work to be done. 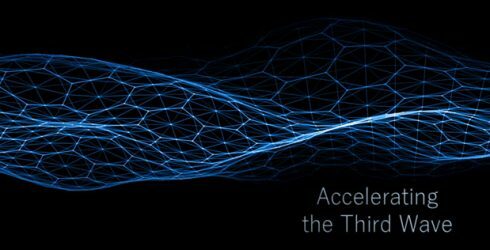 DARPA is launching the Artificial Intelligence Exploration (AIE) program as part of its broader AI investment strategy. According to the agency, past investments have advanced the first and second wave of artificial intelligence. The first wave was focused on rule-based AI while the second wave focused on statistical learning-based AI technology. The AIE program is meant to advance and accelerate the third wave of AI, which will address challenges and limitations from the first two waves as well as developing new AI theory and applications. “We see this third wave is about contextual adaptation, and in this world we see that the systems themselves will over time build underlying explanatory models that allow them to characterize real-world phenomena,” John Launchbury, director of DARPA’s Information Innovation Office, said in a video. For instance, a second-wave AI system can provide image classification where it is given an image and it does calculations to detect what is in the image. However, Launchbury said the agency would prefer if the system could respond and not only say what the image is, but explain why it came to that conclusion. If the image is of a cat, the system not only knows there is a cat in the image, but it can detect that because the cat has fur, whiskers, claws and other features. Going further, Launchbury explained in order to do things like image classification, we have to give those second-wave systems much training data and examples for it to learn and detect. In the third wave, DARPA would like to develop systems that think and reason much more like humans, and be able to understand what is going on based off of only a handful of data or examples. “If I had to teach my kid 50,000 times or a 100,000 times how to write something, I would get bored. Human beings are doing something different. We many only need one or two examples, and we are starting to see how to build systems that can be trained from one or two examples,” Launchbury explained. “These are examples that led us to think that the third wave of AI will be built around contextual models where the system over time will learn about how that model should be structured. It will perceive the world in terms of that model It will be able to use that model to reason, to be able to make decisions about things and maybe even will start to be able to use that model to abstract and take data further, but there is a whole lot of work to be done to be able to build these systems,” he added. According to the agency, AIE is based on the “Disruptioneering” fast-tracked solicitation process from the agency’s defense science office. The process was created to accelerate scientific discovery. Similarly to the disruptioneering program, AIE will issue special notices or “AIE Opportunities” tied to specific interests and may award up to $1 million for each AIE Opportunity. “AIE will constitute a series of unique funding opportunities that use streamlined contracting procedures and funding mechanisms to achieve a start date within three months of an opportunity announcement. Researchers will then work to establish the feasibility of new AI concepts within 18 months of award. Through this nimble approach to exploring new AI concepts, DARPA aims to outpace competing, global AI science and technology discovery efforts,” DARPA said in an announcement. Projects from AIE may include proofs of concept, pilots, novel apps of commercial technology for defense purposes, and the creation, design, development and demonstration of technical or operational utility, the agency explains. “The mission of the Defense Advanced Research Projects Agency is to make strategic, early investments in science and technology that will have long-term positive impact on our nation’s national security. In support of this mission, DARPA has pioneered groundbreaking research and development (R&D) in Artificial Intelligence (AI) for more than five decades. Today, DARPA continues to lead innovation in AI research through a large, diverse portfolio of fundamental and applied R&D AI programs aimed at shaping a future for AI technology where machines may serve as trusted and collaborative partners in solving problems of importance to national security,” the agency wrote. Previous articleThink about Content Holistically, choose Images Wisely.